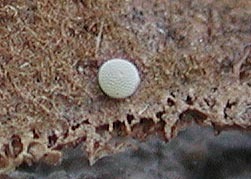 Caterpillar Hostplants Leaf detritus. 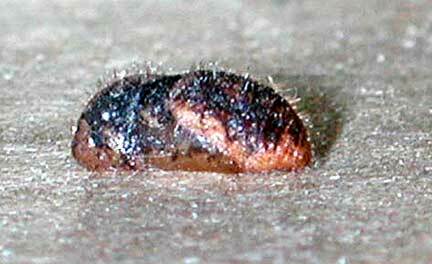 Scott reports they even eat moldy leaves, and that in captivity larvae will eat fresh and dead leaves from dozens of plant families, bread crumbs, hair follicles and dead insects and other larvae. Locations Throughout the metroplex. Norbuck Park, Dallas Arboretum, Texas Discovery Gardens, Heard Museum, Lake Lewisville. 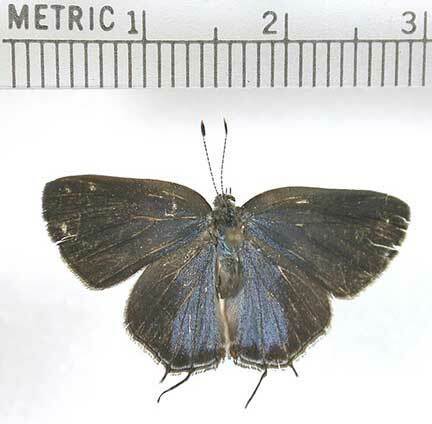 General Notes Some believe the Red-Banded Hairstreak (Calycopis cecrops) and the Dusky-blueGroundstreak to be the same species, however currently they are treated as separate species. 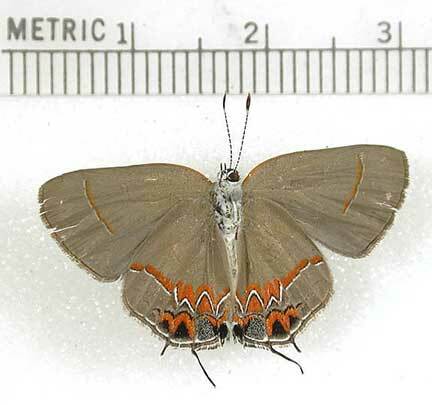 The Red-Banded Hairstreak has a broad red band on the ventral side of the forewing while the Dusky-blue Groundstreak has a narrow band. 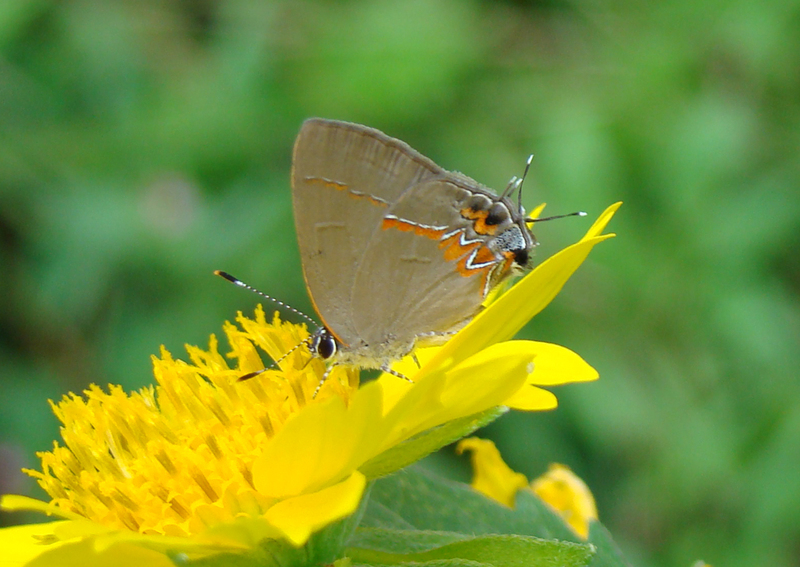 The Red-Banded Hairstreak also has a faint red "cap" over the black tail spot on the ventral side of the hindwing while the Dusky-blue Groundstreak has a more extensive red "cap". 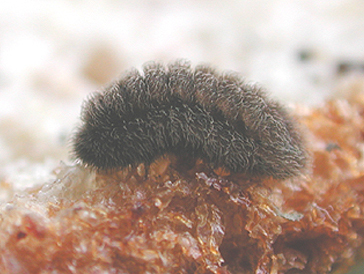 Overwinters: Unknown.